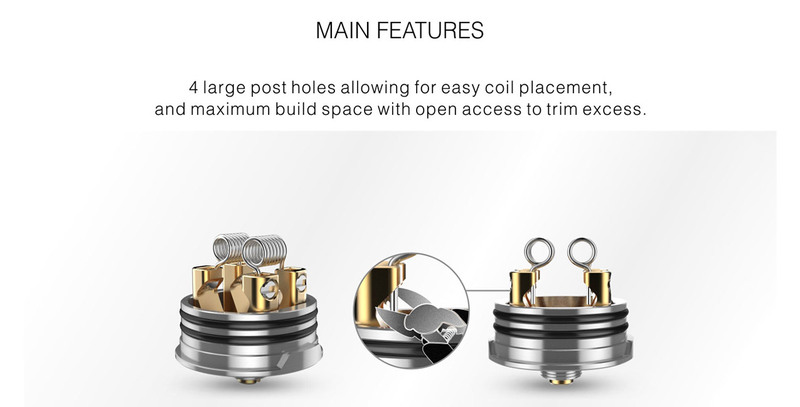 Digiflavor DROP RDA Atomizer 24mm features 4 huge post holes, the ability to place your coils with ease and plenty of space for cutting your leeds after you have placed your coils in the posts. 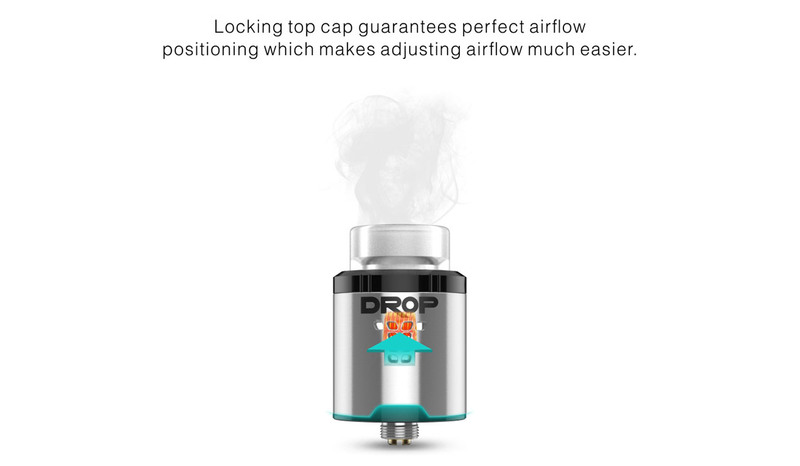 The conical shaped top cap provides smooth and uninterrupted airflow. 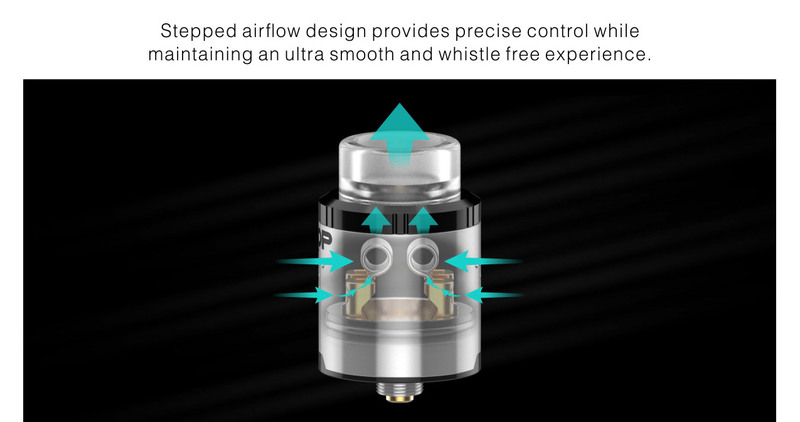 The juice well is deep and spacious, combined with the non-intrusive post placement allows for perfect liquid disbursement no matter how you vape. Deep and spacious juice well with perfect post placement allows for leak free convenient dripping access. Standard 510 and Raised BF squonk 510 pin is included.